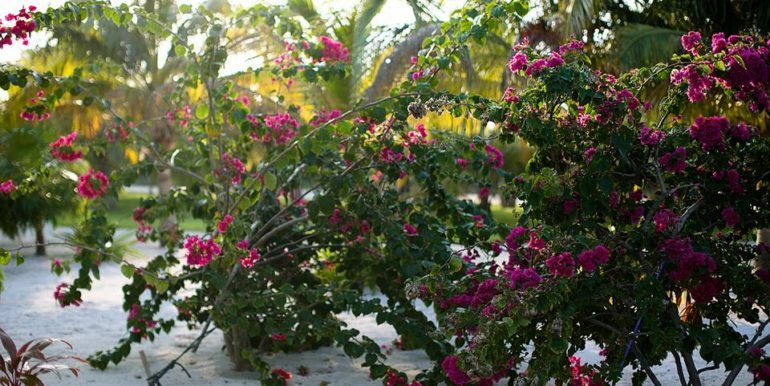 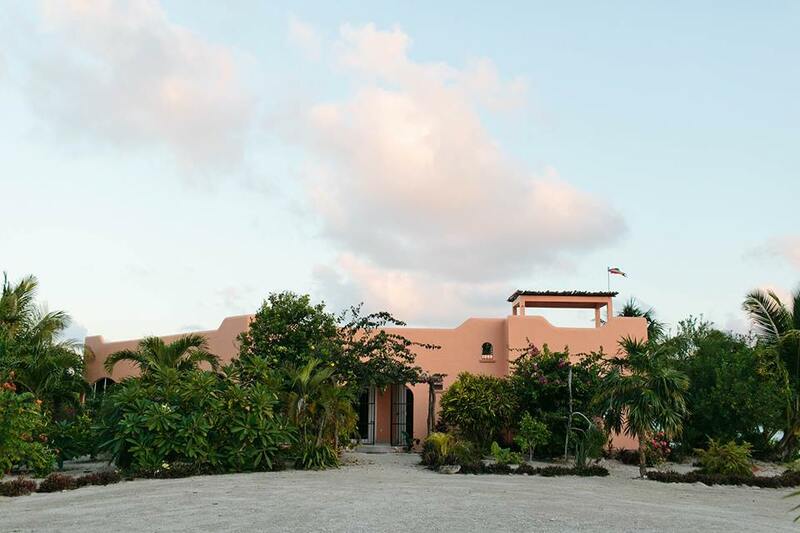 Casa Porto Vino was built as a vacation paradise…a large, fabulous home on the Caribbean coast of the exotic Yucatan Peninsula, far enough away to be quiet and secluded and close enough to entertain family and friends who yearn to share in your vacation paradise. 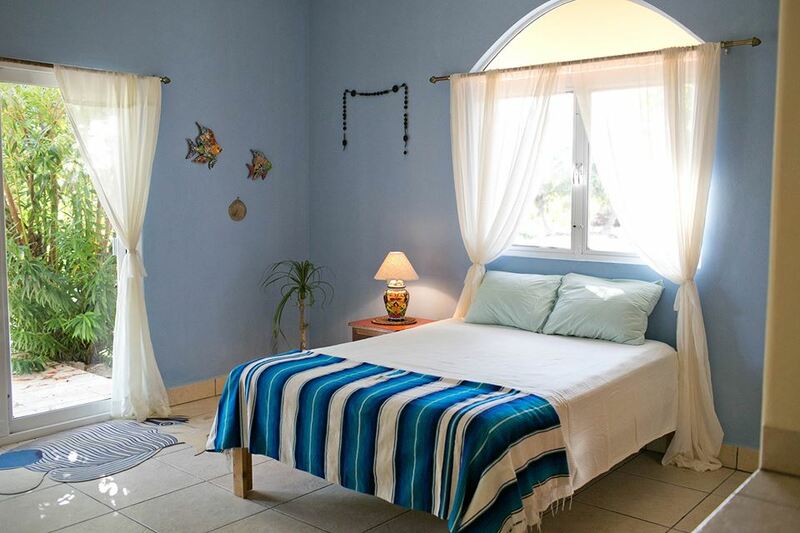 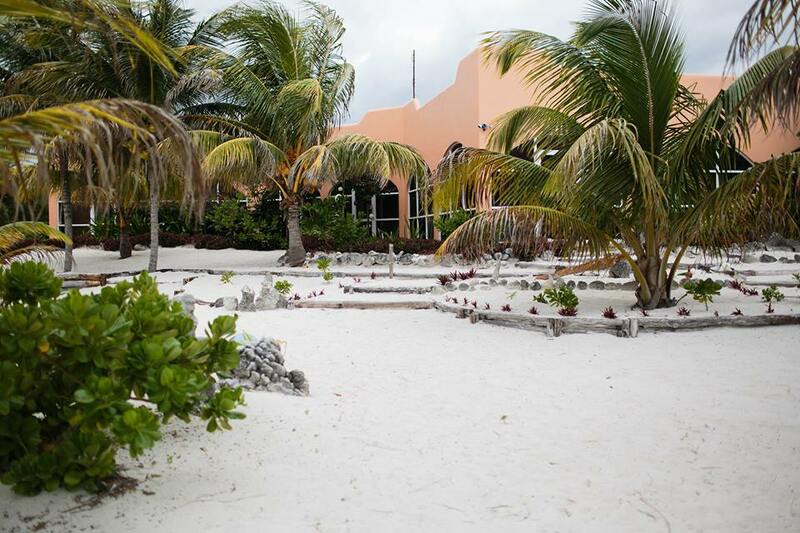 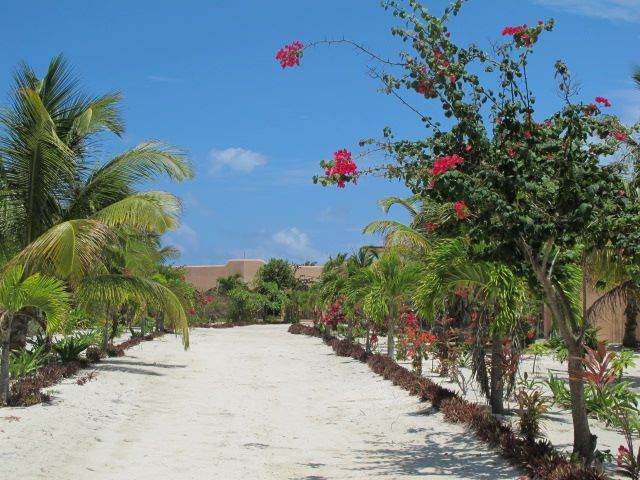 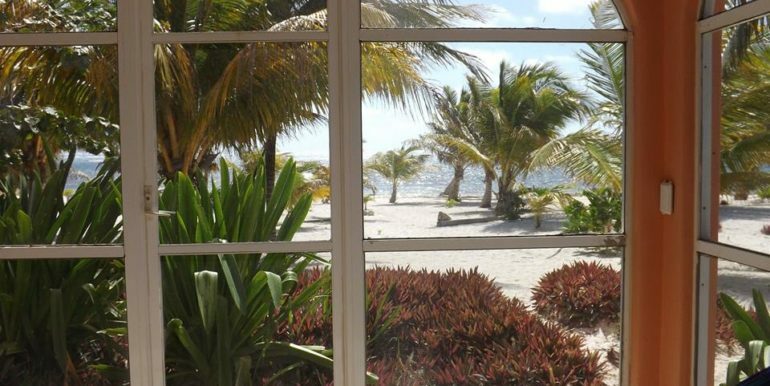 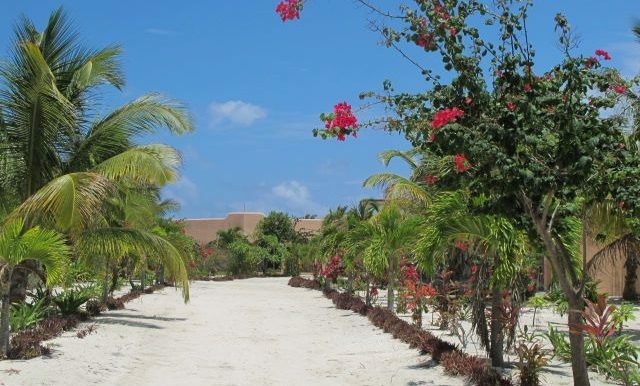 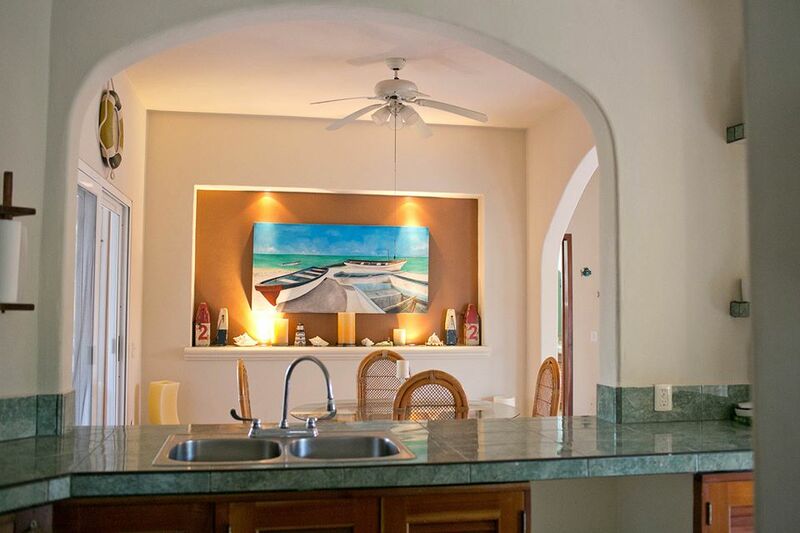 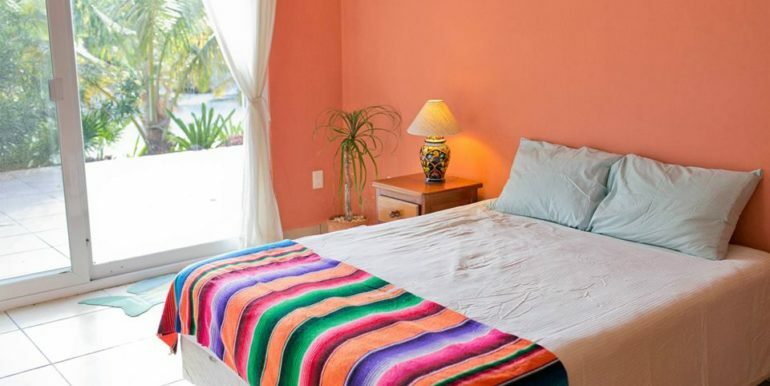 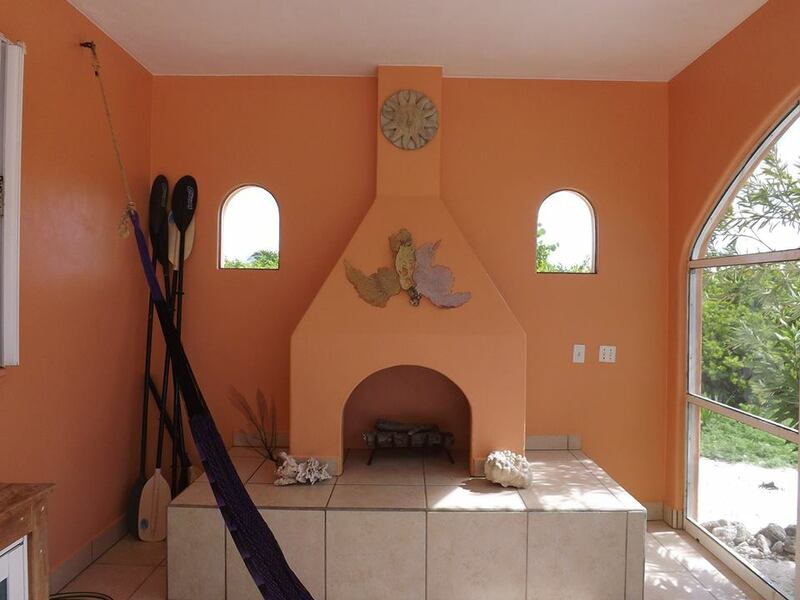 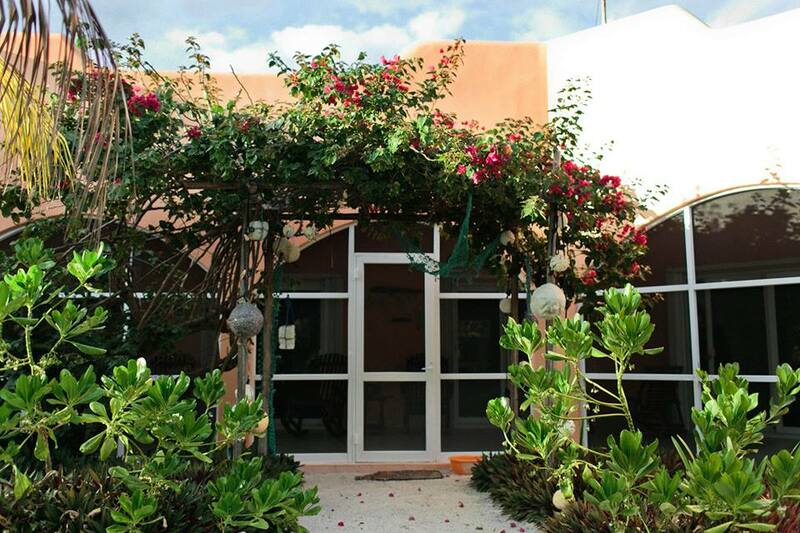 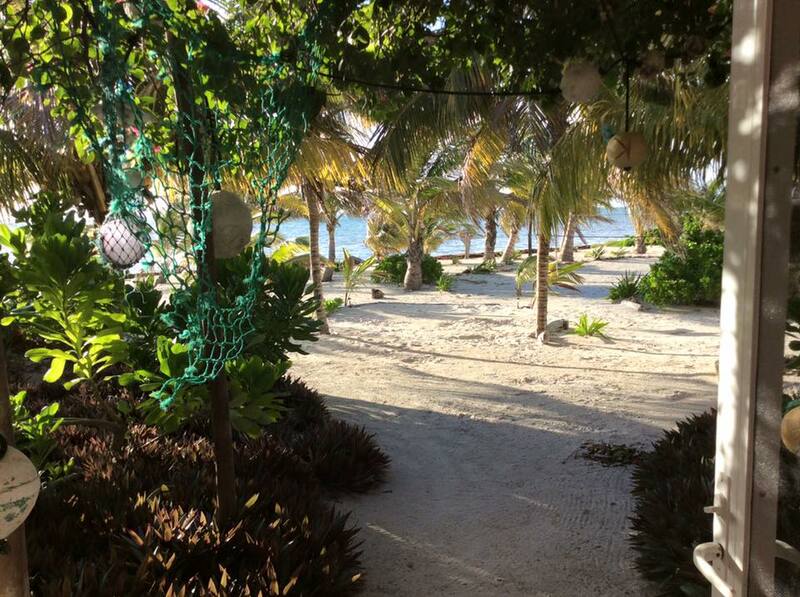 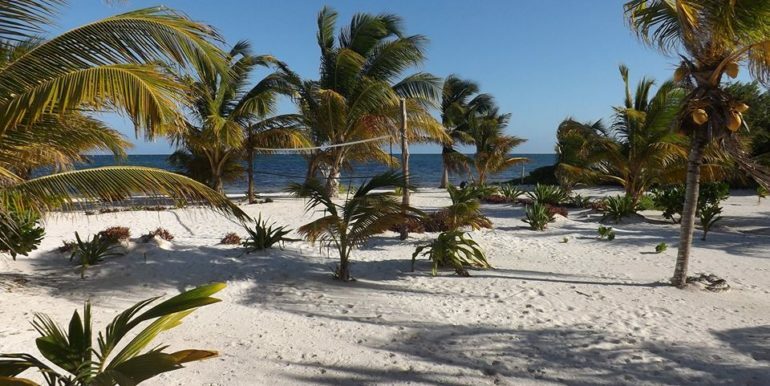 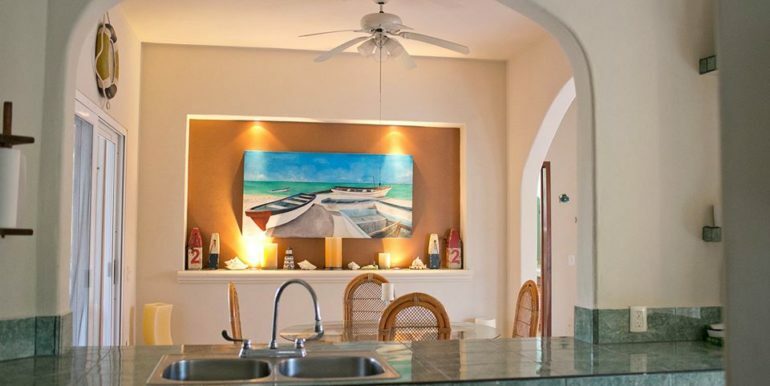 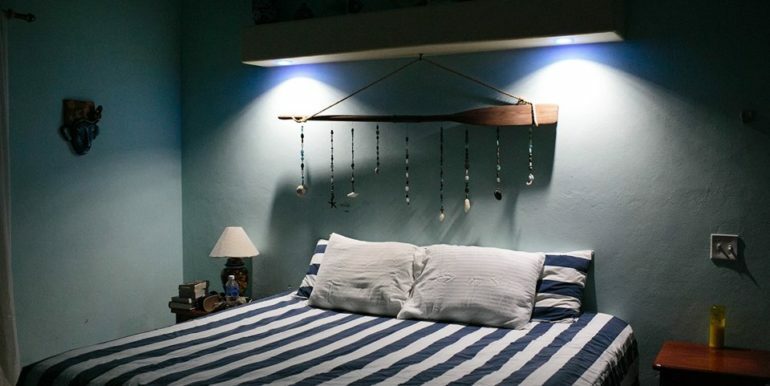 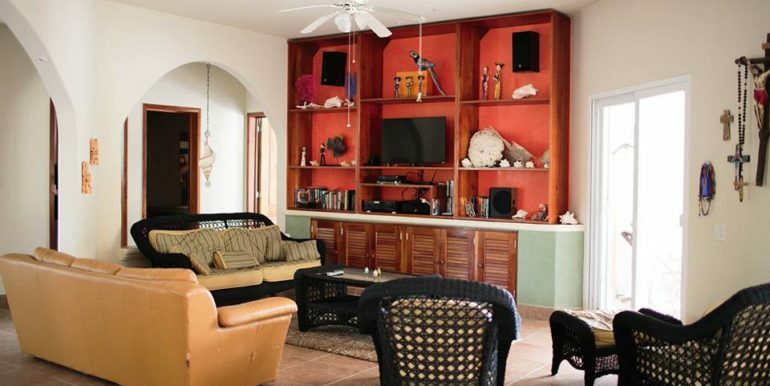 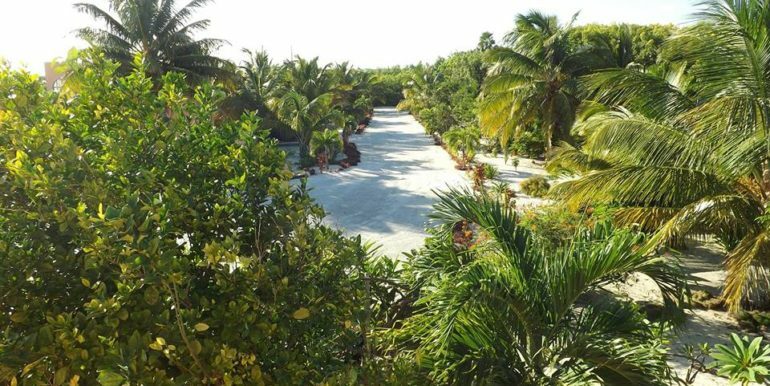 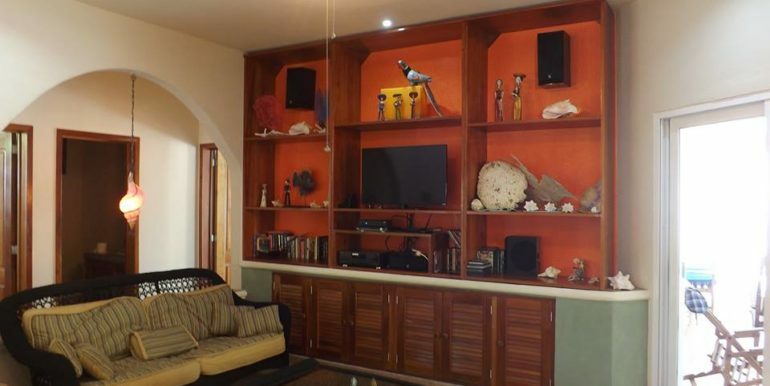 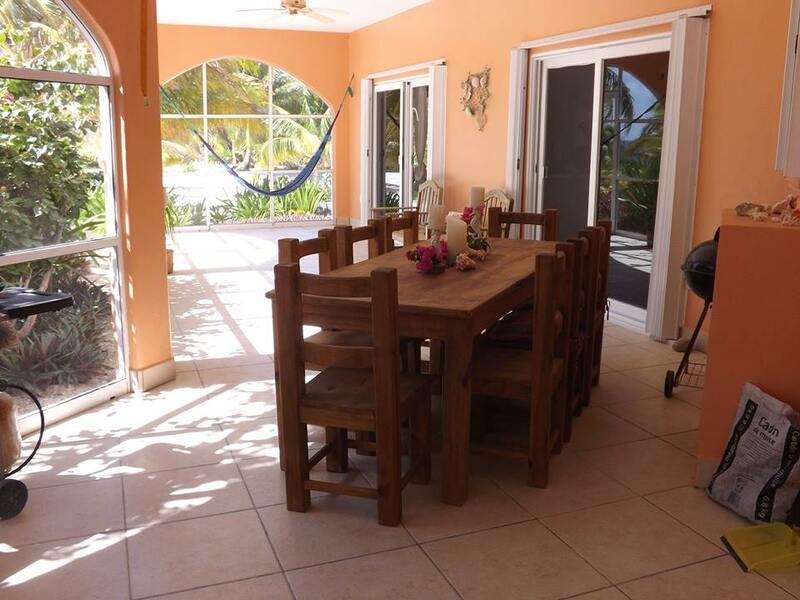 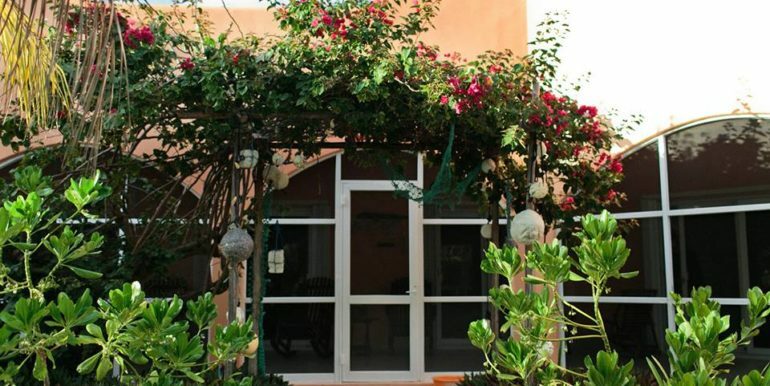 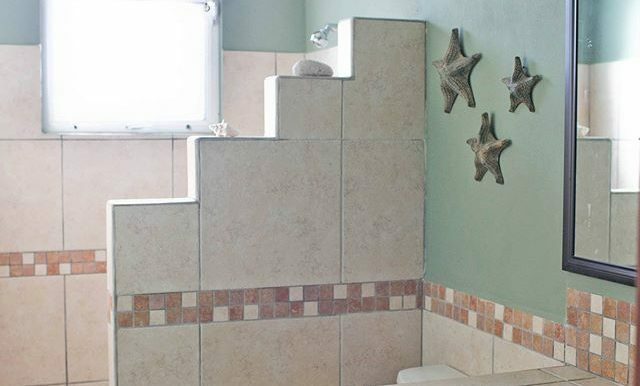 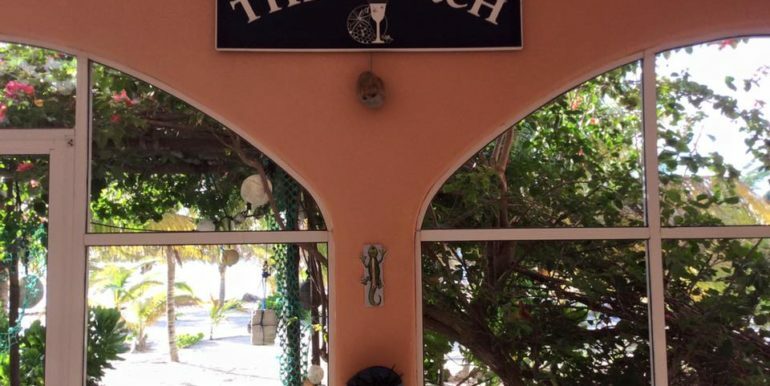 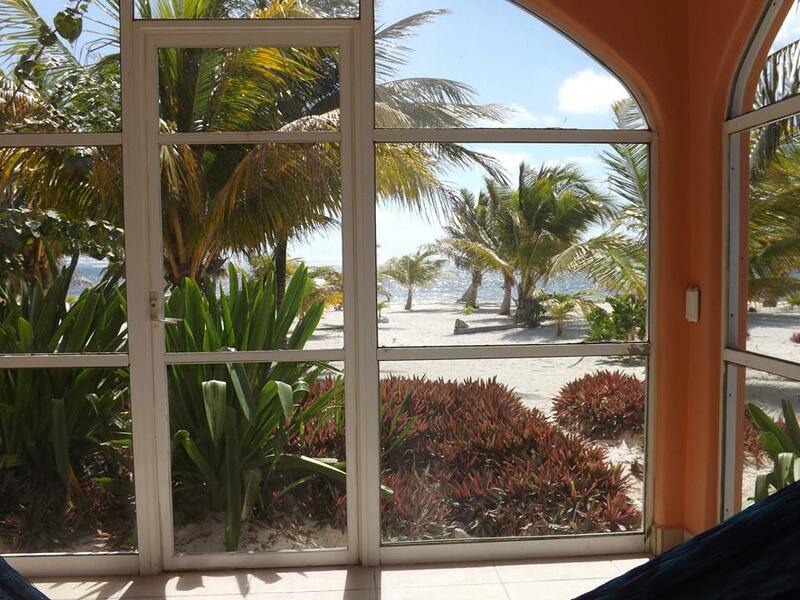 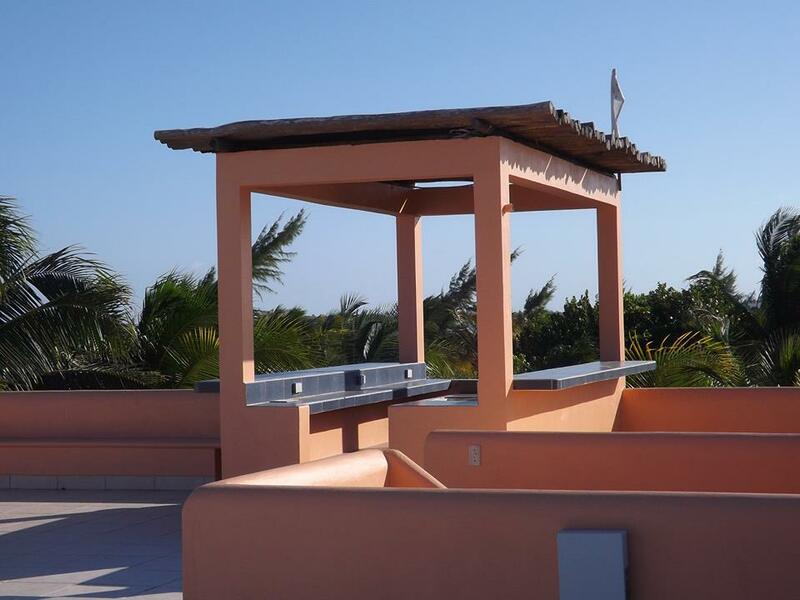 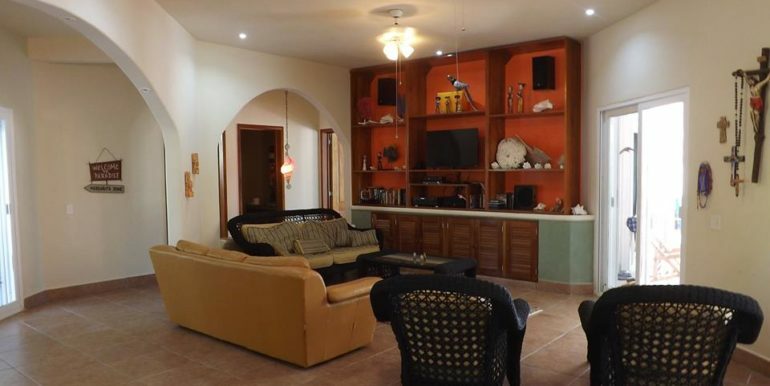 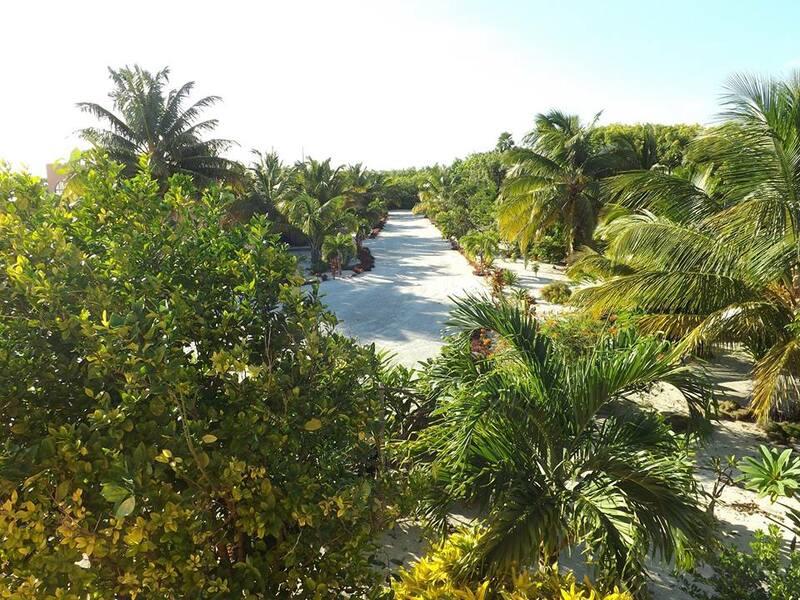 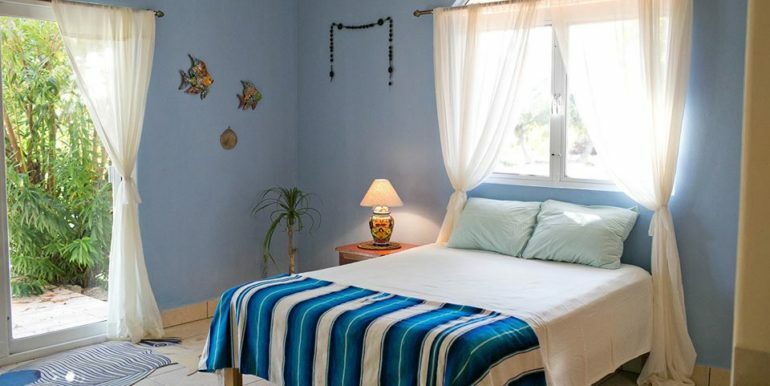 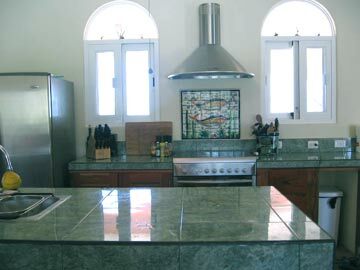 Just 20 KM north of Mahahual this beautifully decorated and appointed home sits on a sprawling 30 meter wide (88 feet) by 135 meter deep (443 feet) beach front lot (43,414 sq ft, 4,033 sq M ) landscaped with palms, colorful bougainvilleas and a variety of tropical garden flora. 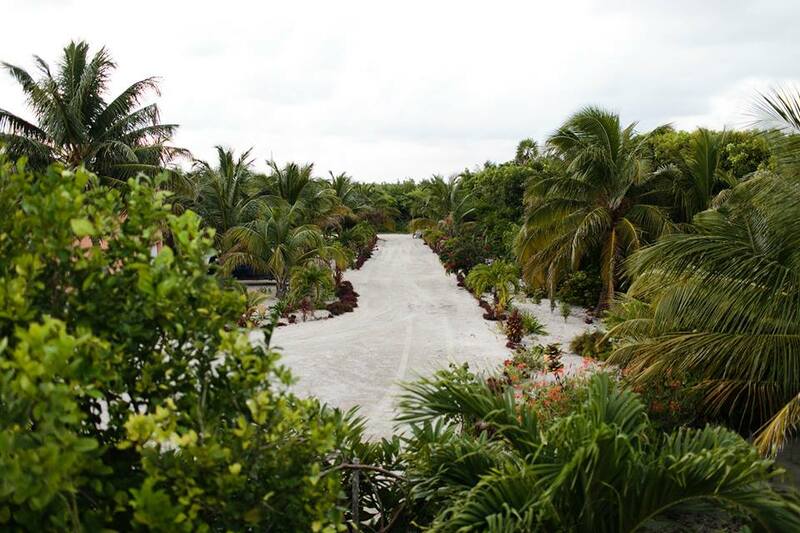 An adjacent one-acre lot is also available for purchase separately. 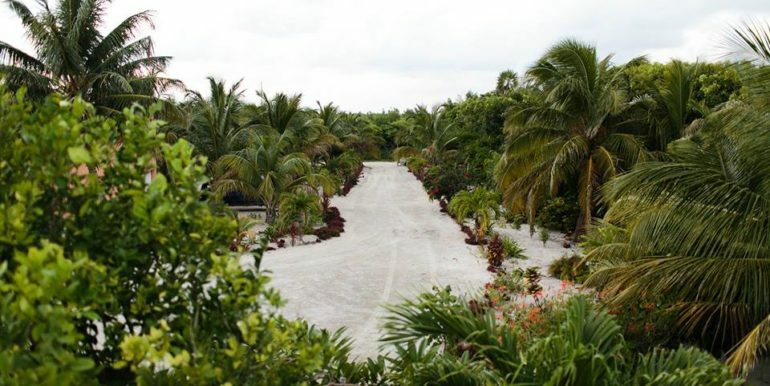 The lot has been cleaned and trimmed, but remains undeveloped. 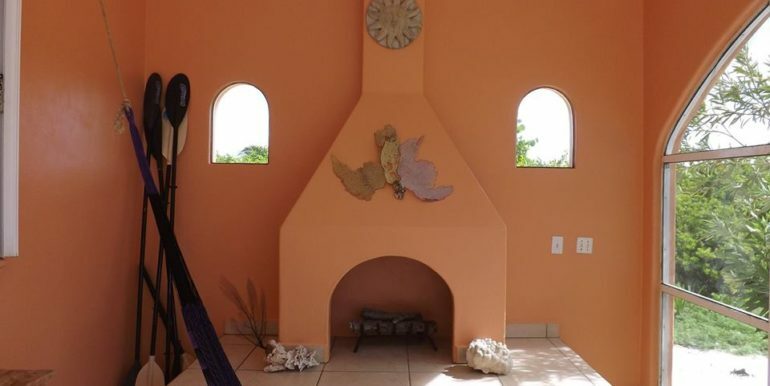 The home has 5,000 sq. 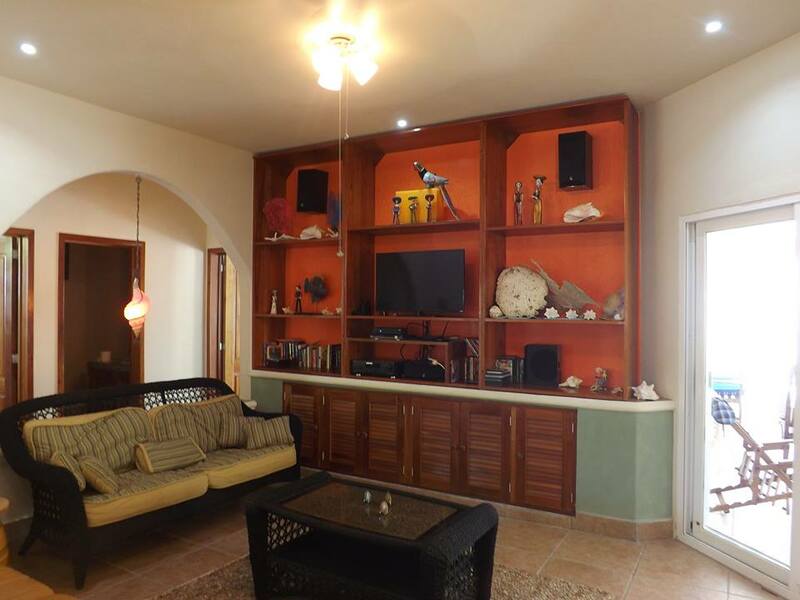 feet of living area, including 2,000 sq. 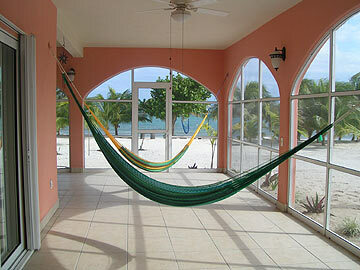 feet of aluminum-framed, screened porch. 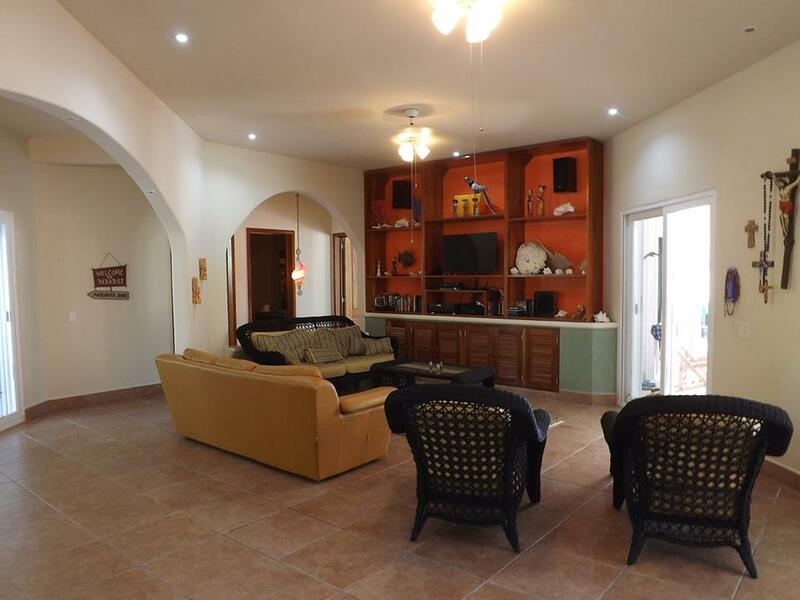 Four large bedrooms and two and a half baths can easily accommodate ten guests. 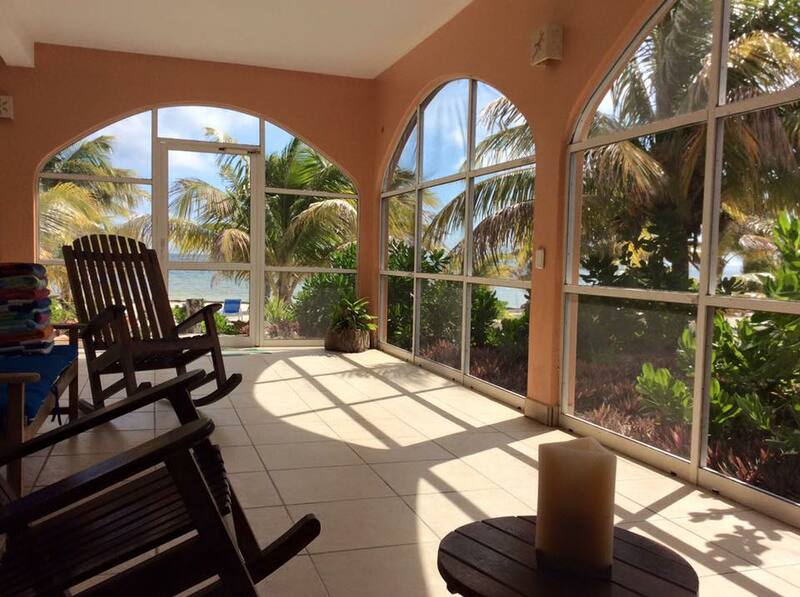 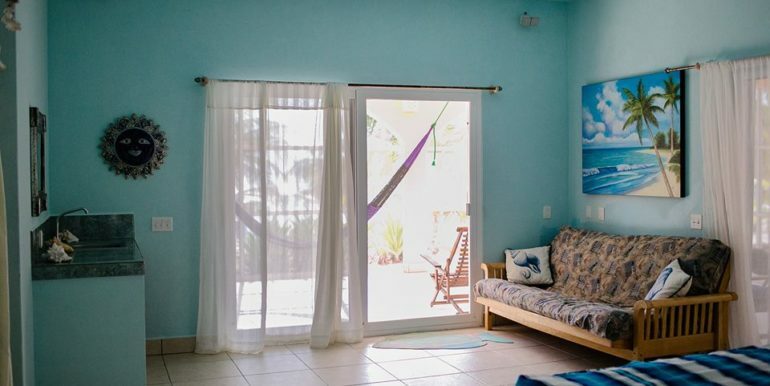 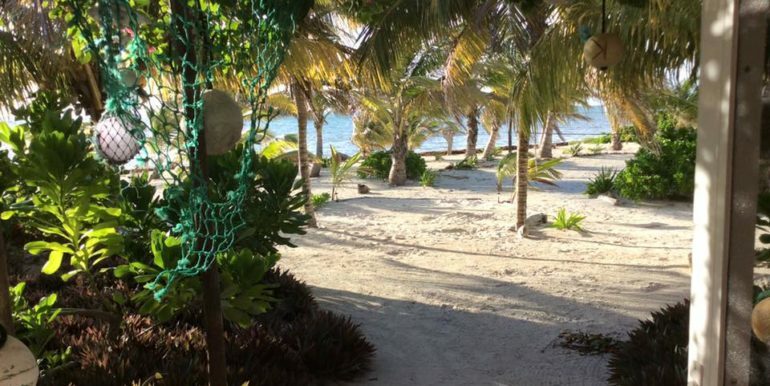 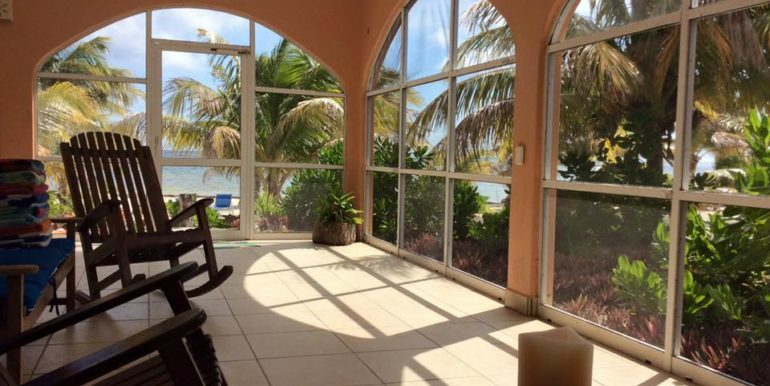 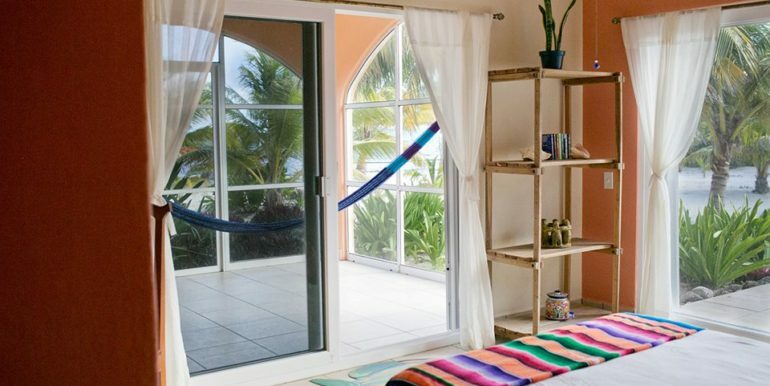 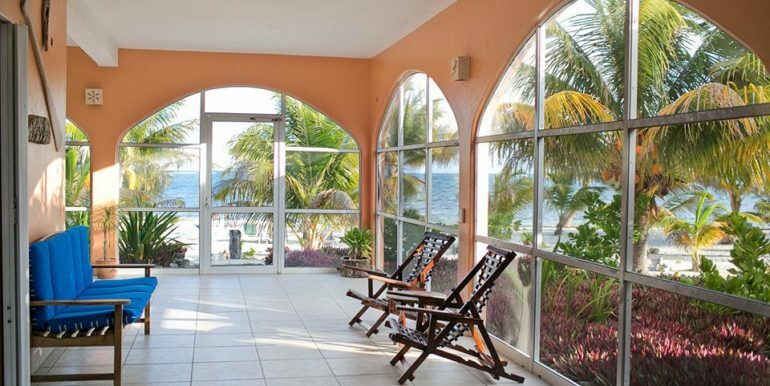 With the extensive enclosed porch area and hammocks or additional beds, twelve guests would still not be a crowd within this stunning vacation paradise. 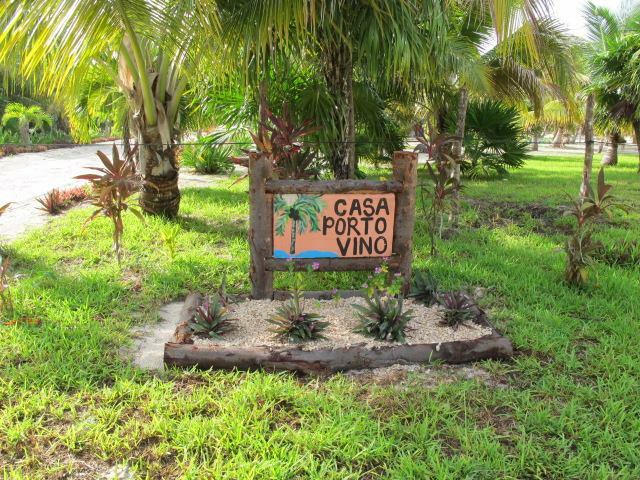 Casa Porto Vino comes with many new improvements including a new washer and dryer, new side-by-side refrigerator with ice maker, newly painted rood and new paint throughout the interior. 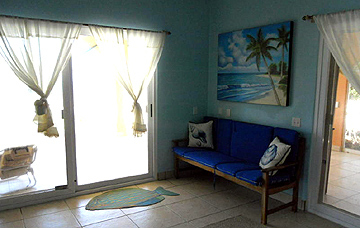 The master bedroom suite and one of the guest bedrooms opens out onto the screened porch with a view of the beach from bed! 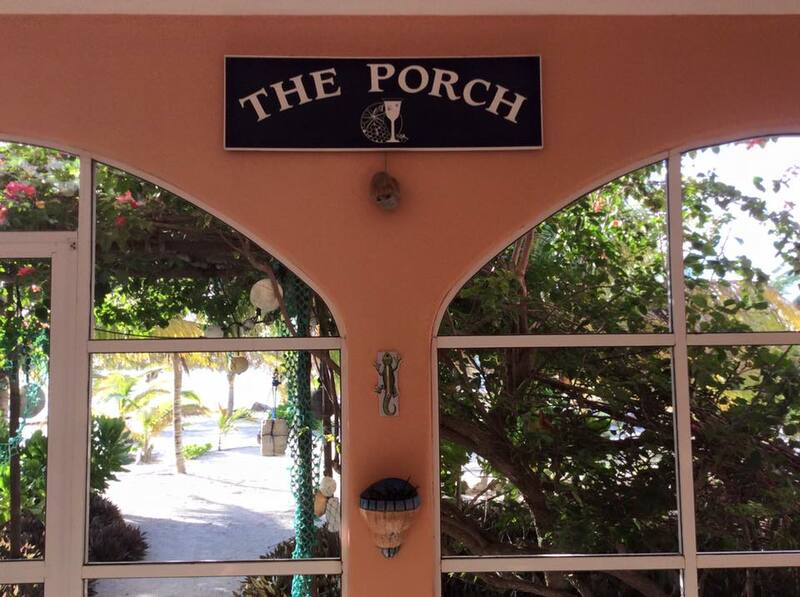 The porch contains a multitude of furnishings, including a dining table for eight, additional chairs, tables, a fireplace and hammocks. 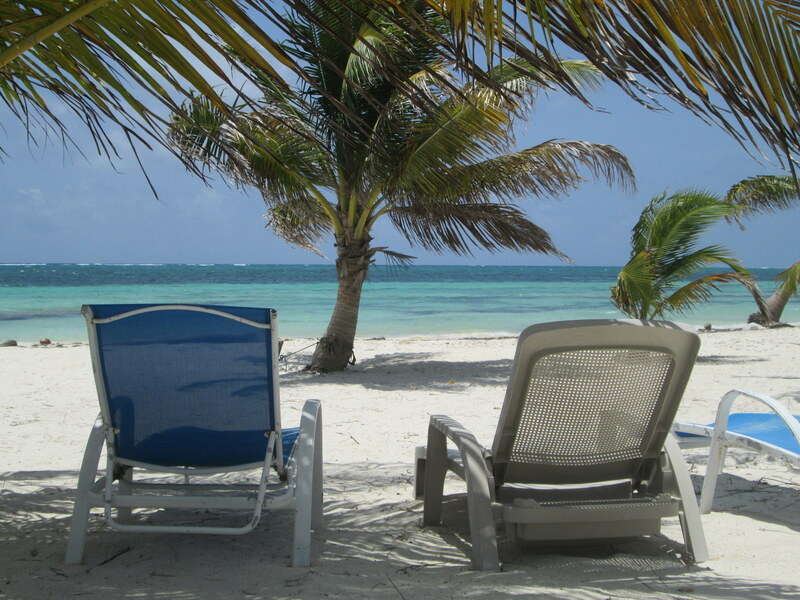 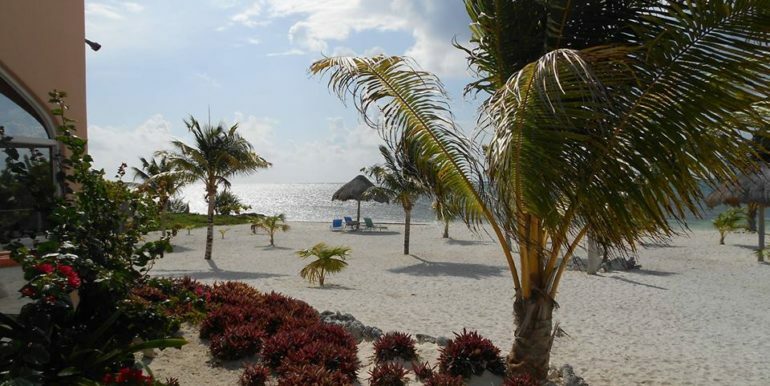 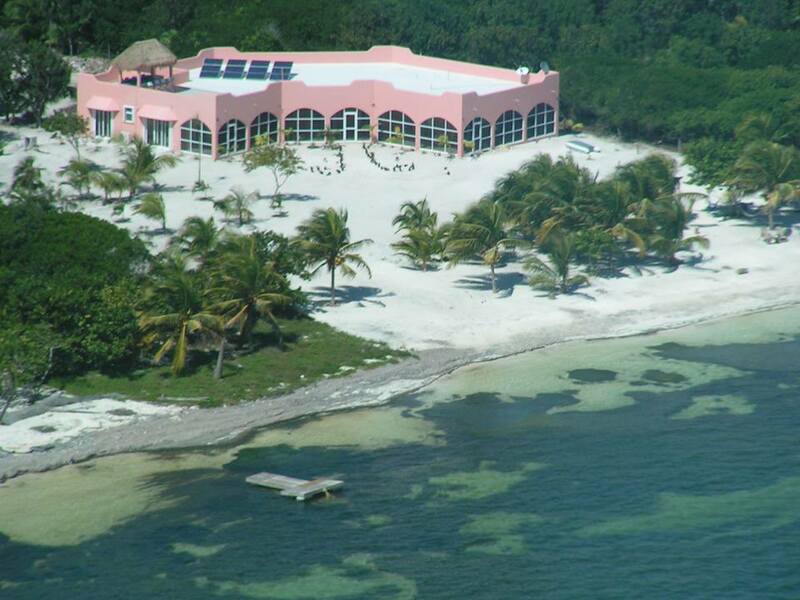 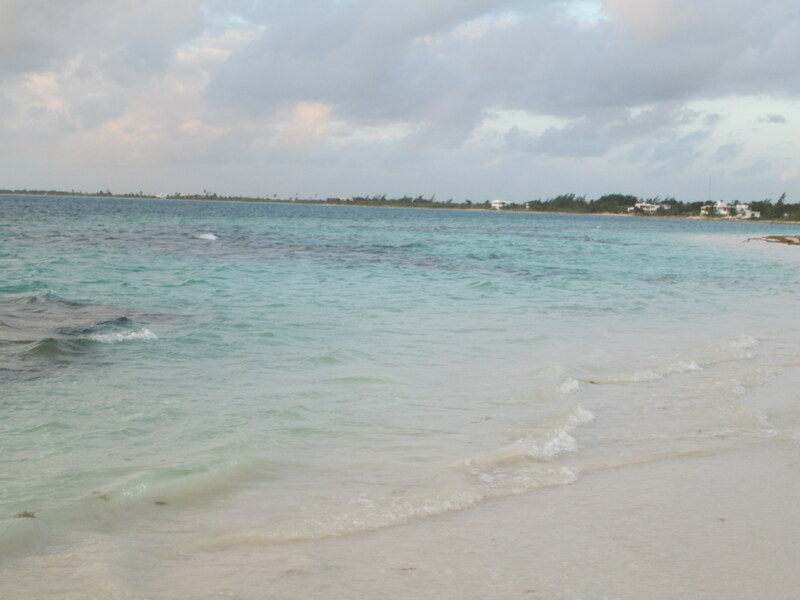 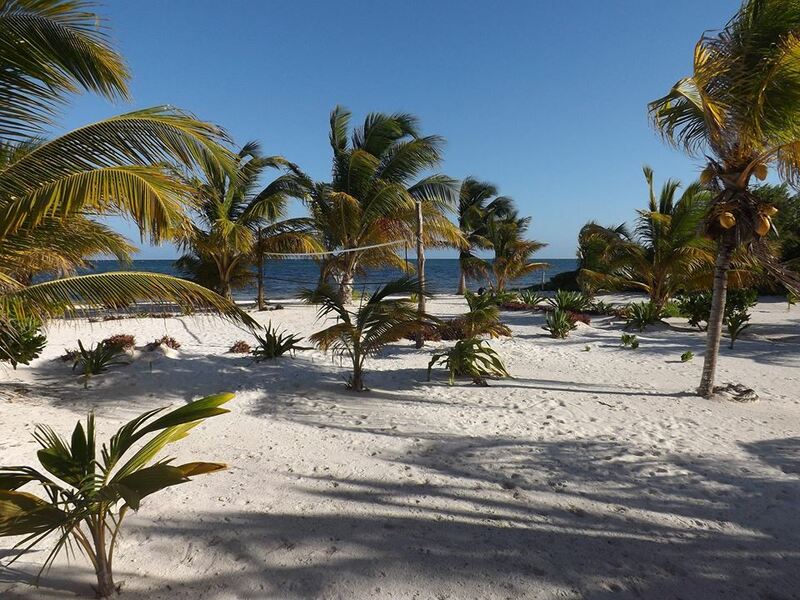 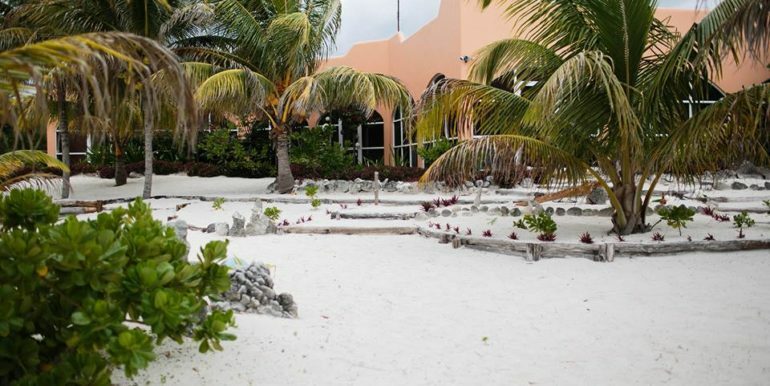 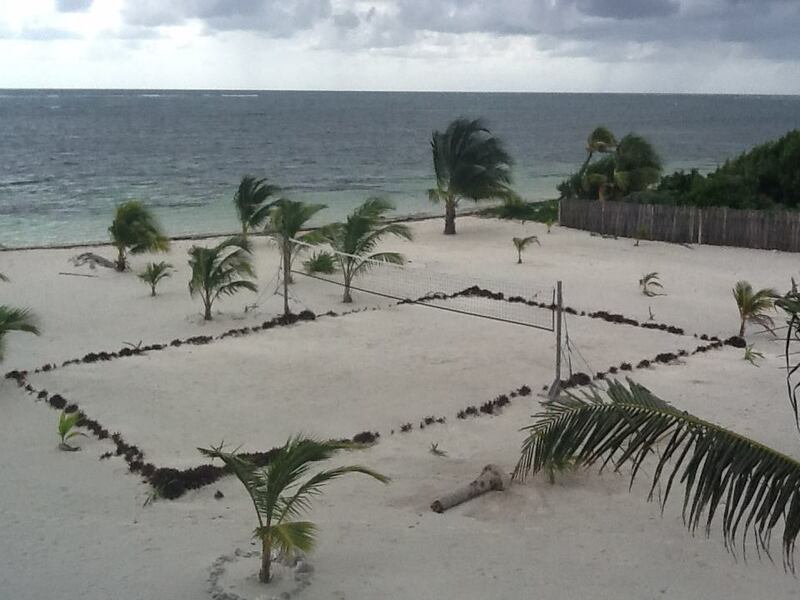 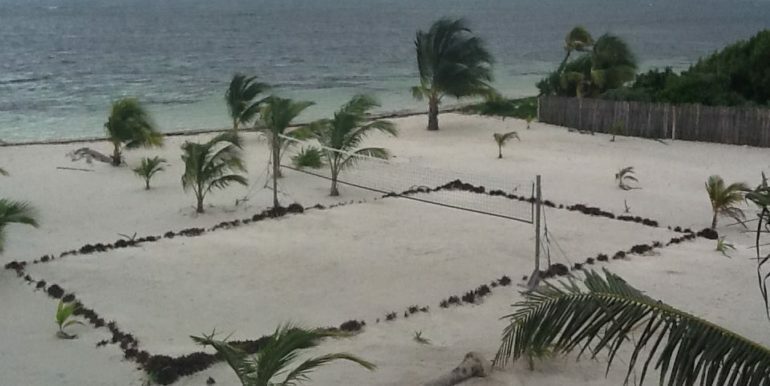 The white sand beach also contains a variety of loungers, chairs, and it even has horse shoe and volleyball courts. 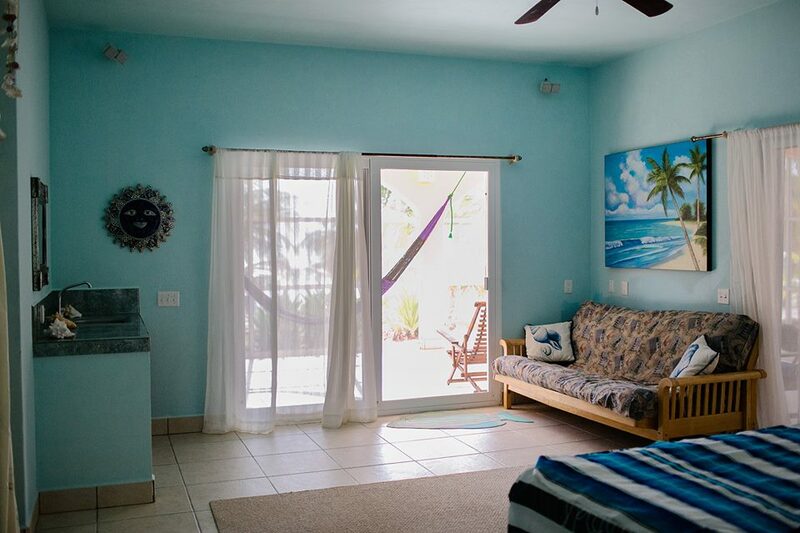 The master suite is equipped with a wet bar and opens out onto the screened porch. 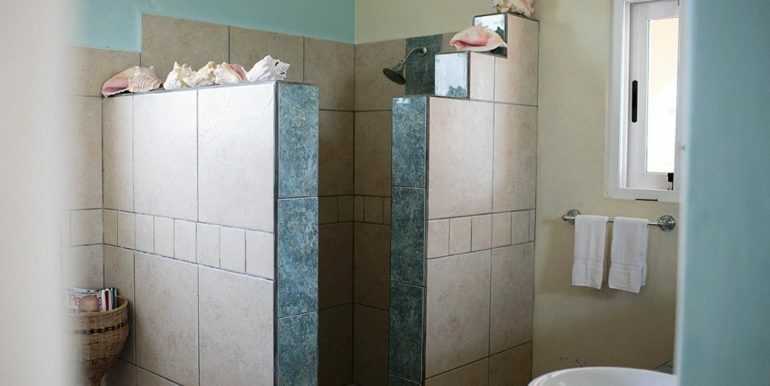 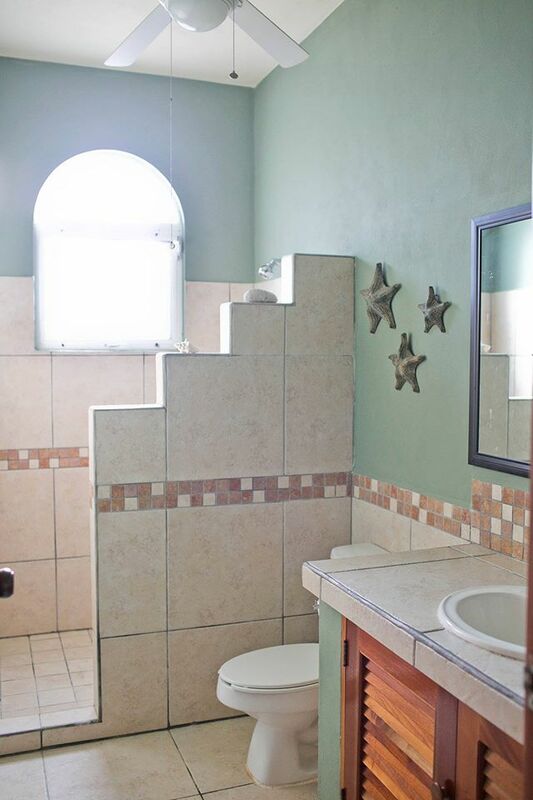 It also has a generous walk-in closet and dual sinks in the bathroom. 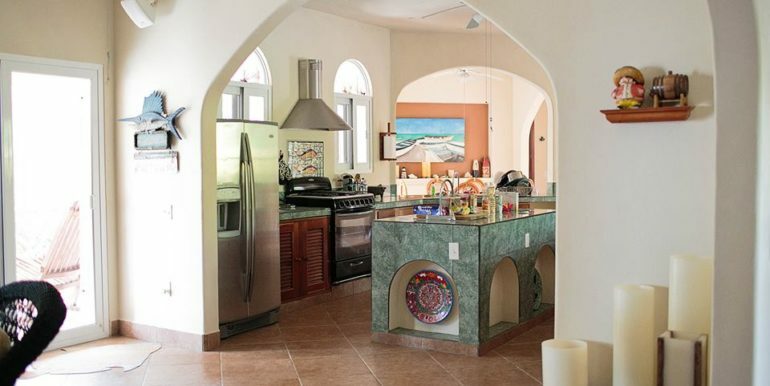 A huge, well-equipped kitchen includes a Whirlpool full-sized stainless steel refrigerator that dispenses drinking water via a reverse osmosis filtration system. 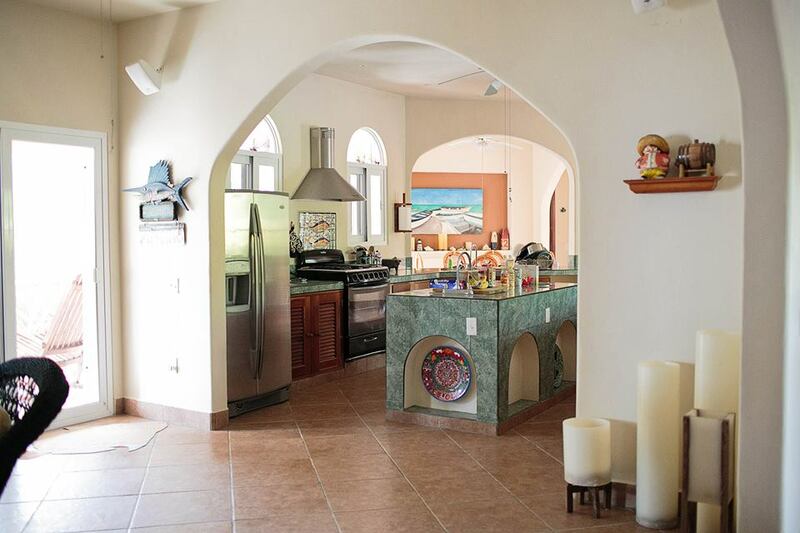 There’s a six-burner gas range, a kitchen island, two sinks and a huge breakfast bar. 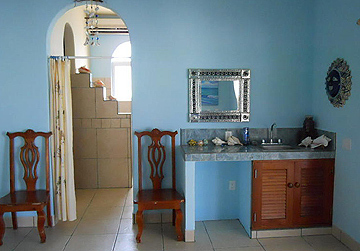 A Maytag Neptune washer and dryer outfit the large laundry room. 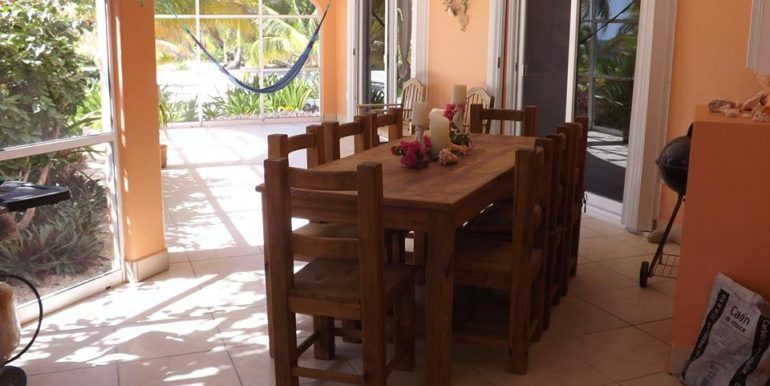 The dining room table comfortably seats six, and the expansive living room/family room adjacent to the kitchen is equipped with satellite TV, DVD and a stereo sound system as well as wireless internet equipment. 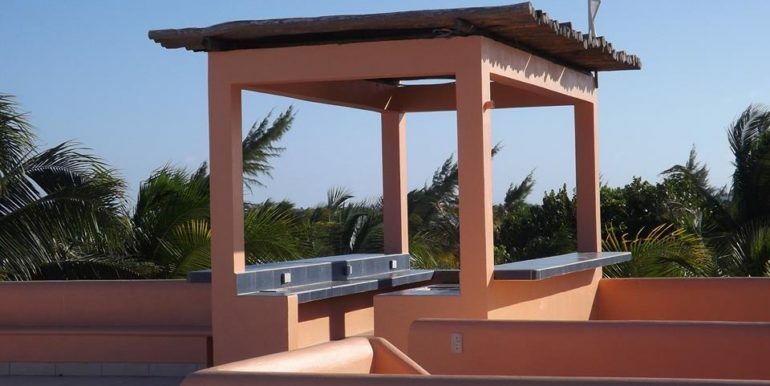 The rooftop terrace has a large wet bar with built-in surround seating and hosts wonderful views of the sunrise to the east and sunsets over the lush jungle to the west. A guesthouse/caretakers cottage, complete with kitchen and bathroom, sits above the garage and a well-equipped storage/workshop. 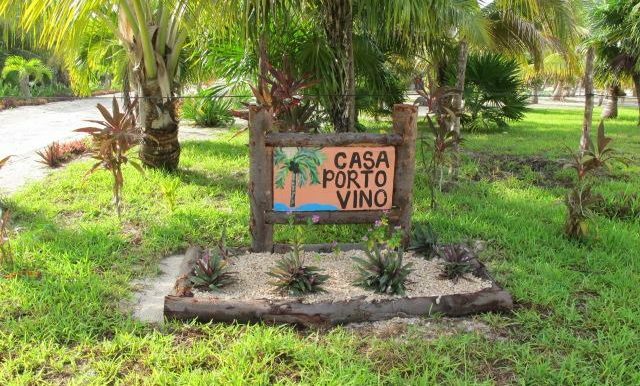 Casa Porto Vino has its own solar system with a backup diesel generator. 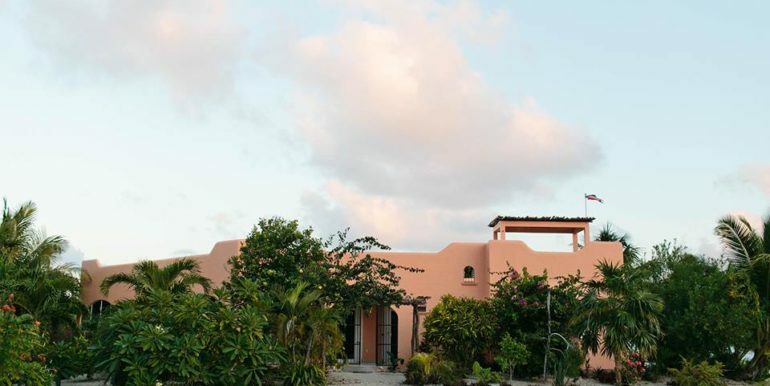 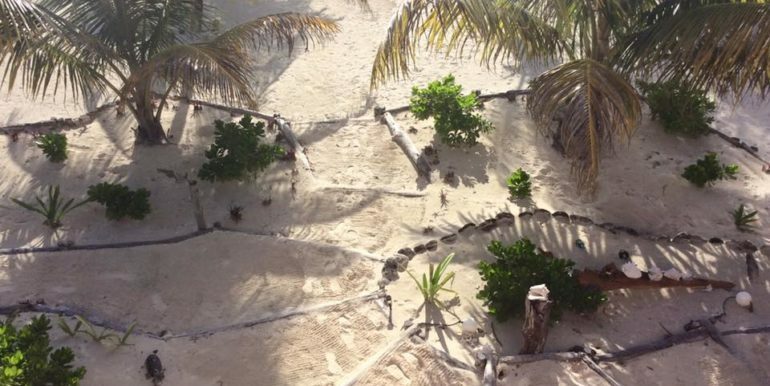 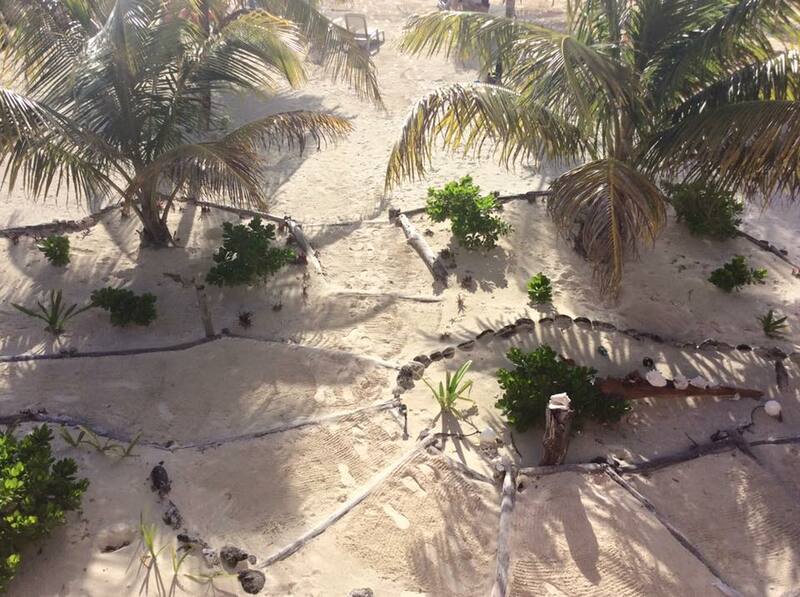 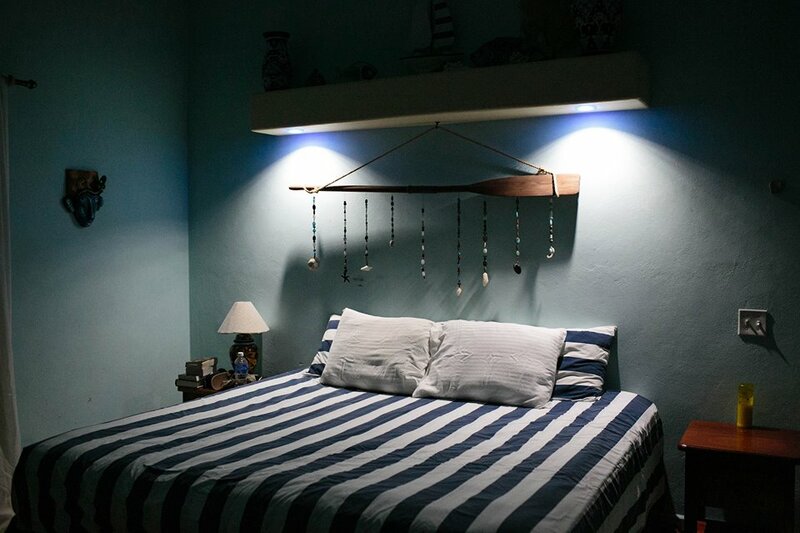 However, the house is connected to the new electrical grid extension from Mahahual. 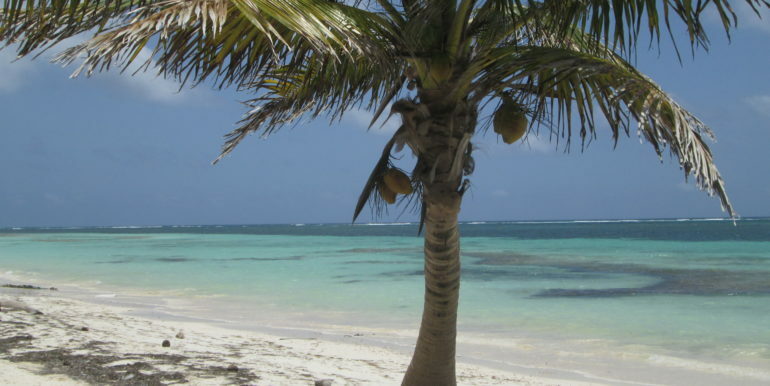 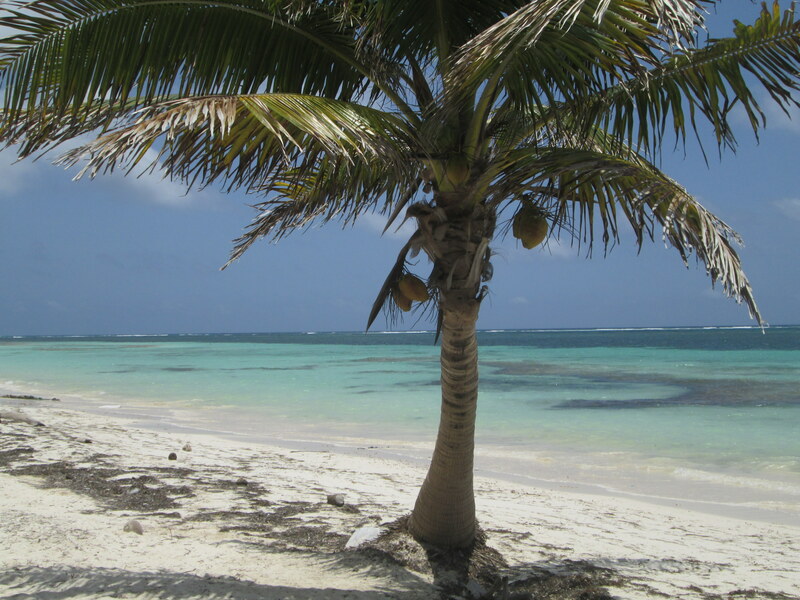 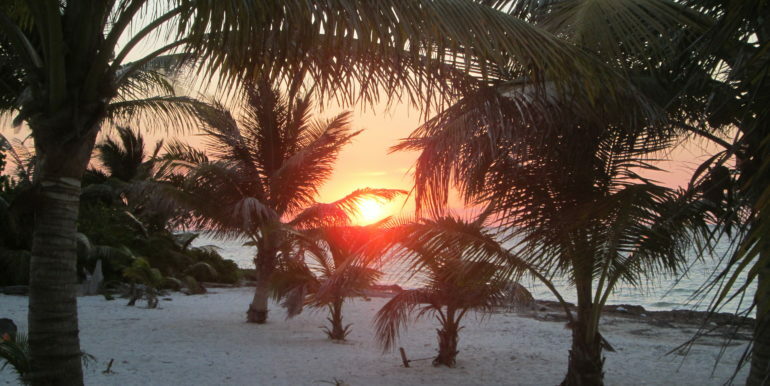 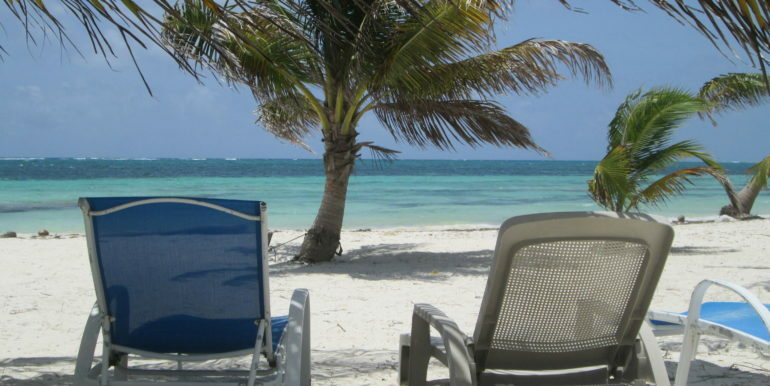 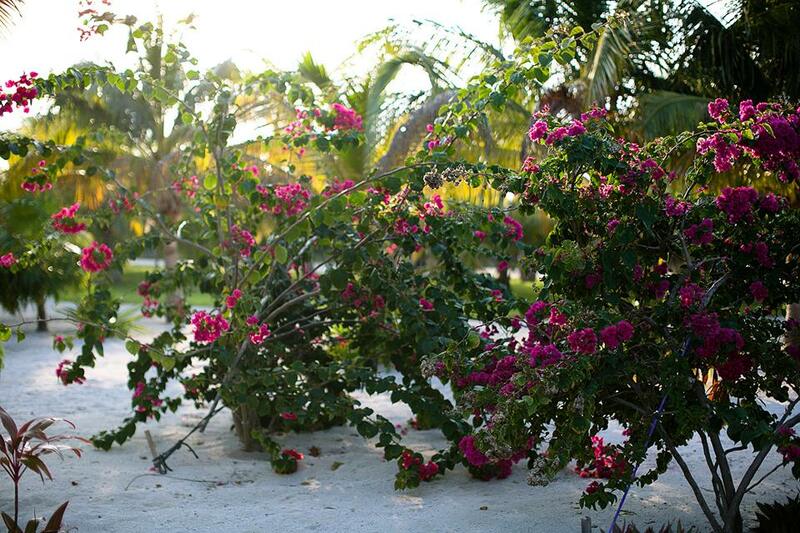 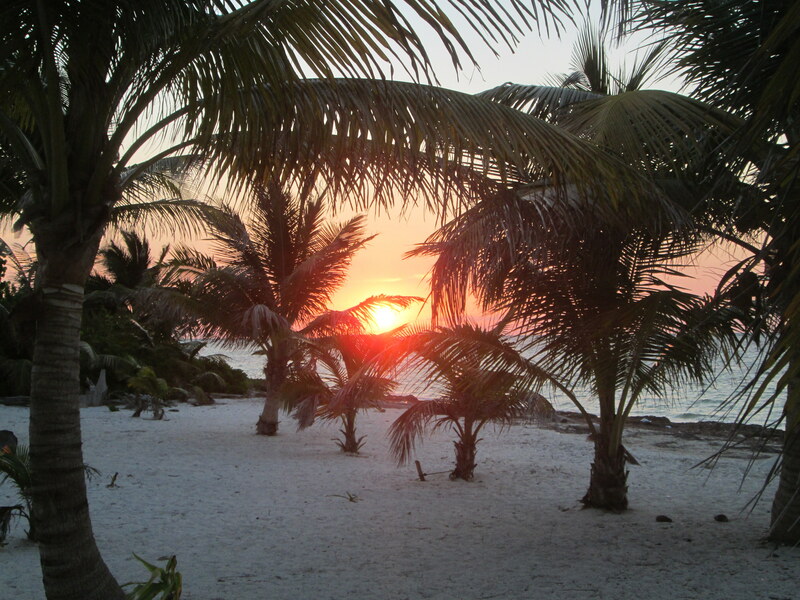 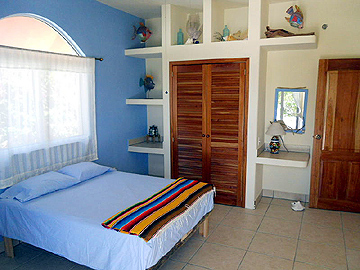 Click here to learn more about Mahahual Mexico: http://www.mahahualmexico.com/. 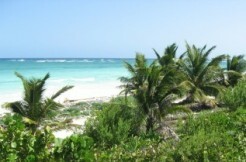 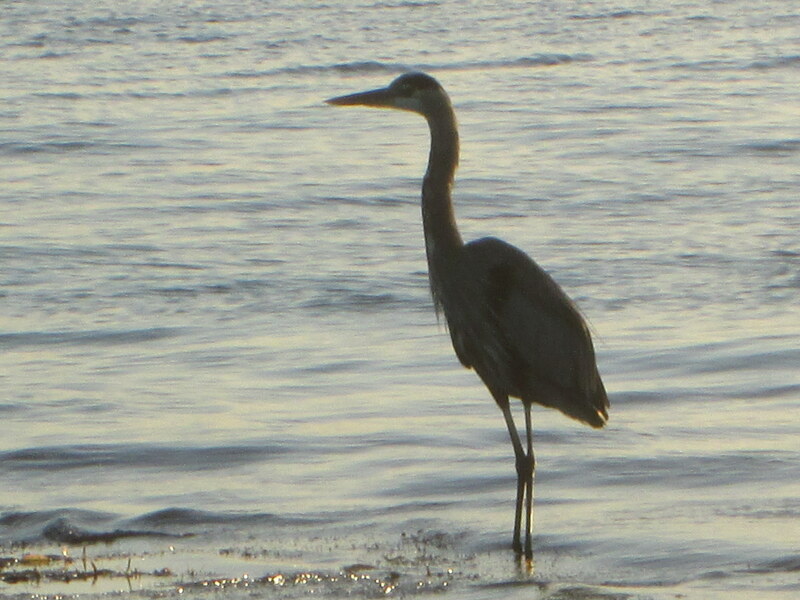 Only several hundred meters offshore, the Mesoamerican Barrier Reef protects the coastline from possible turbulent seas. 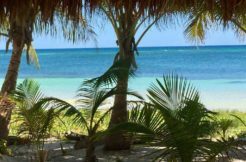 The coral reef, often known as the Mayan Barrier Reef, is the second largest barrier reef in the world – second only to the Great Barrier Reef in Australia – and extends 965 kilometers (600 miles) from the Yucatan Peninsula to Honduras. 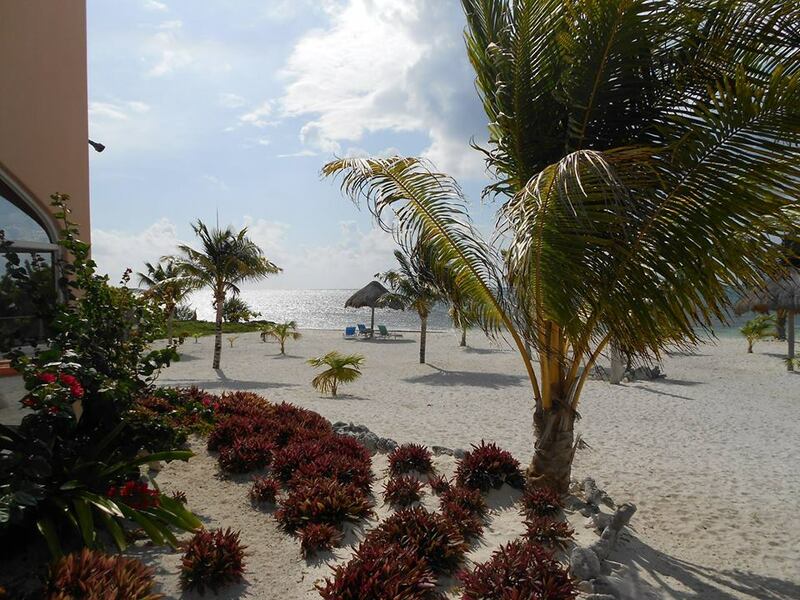 Costa Maya is diver’s and snorkeler’s paradise and the home to five hundred species of fish and one of the largest colonies of manatees on the planet. 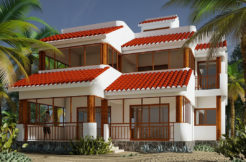 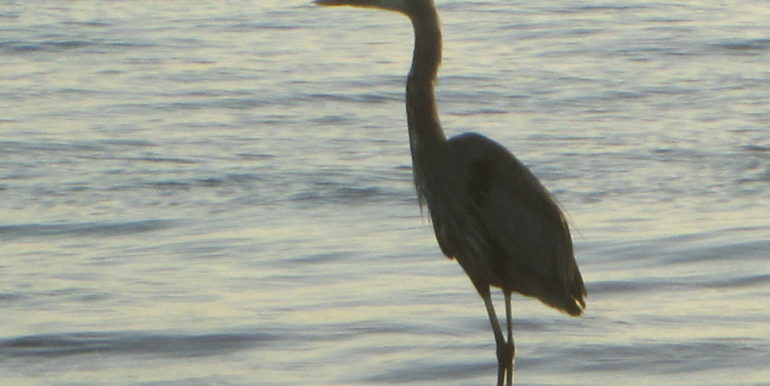 Learn more about NuVista Real Estate: https://www.nuvistarealestate.com/learn-more/. 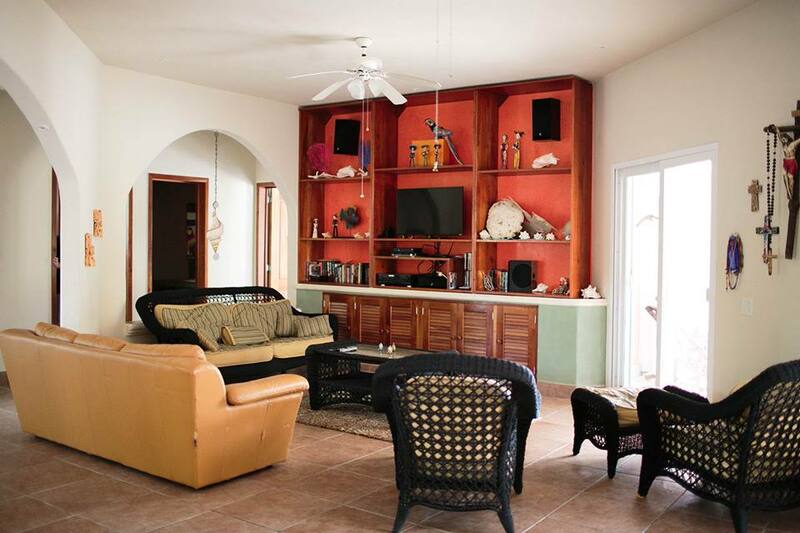 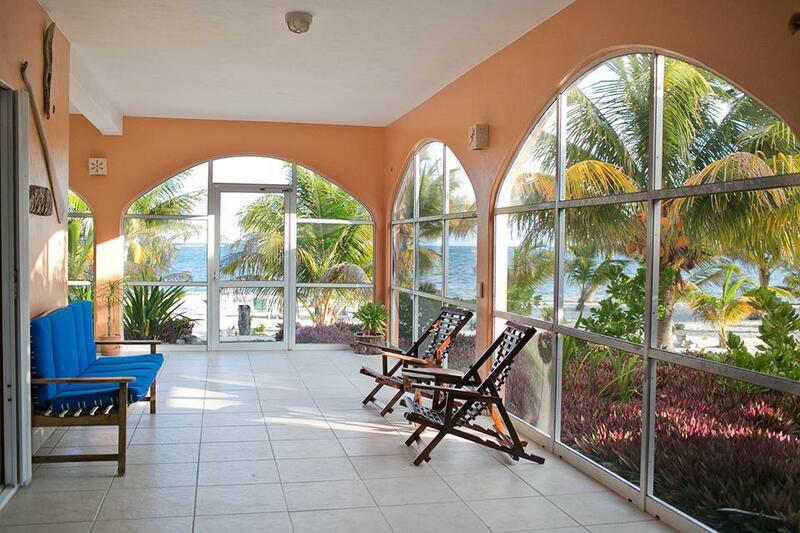 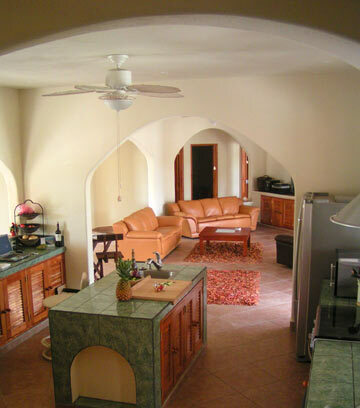 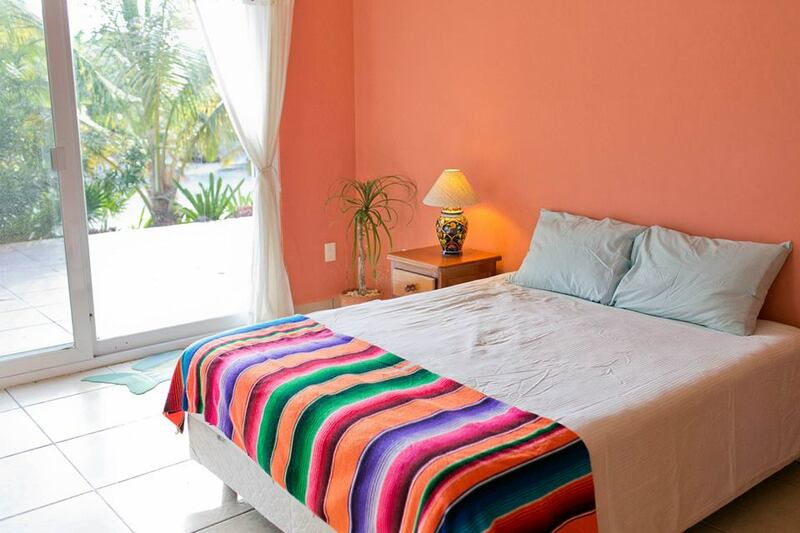 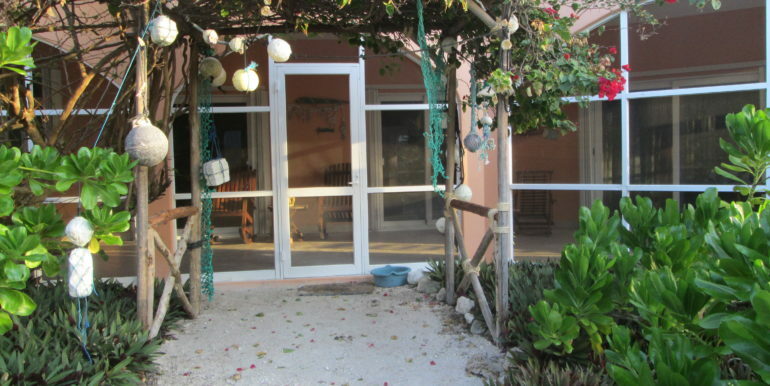 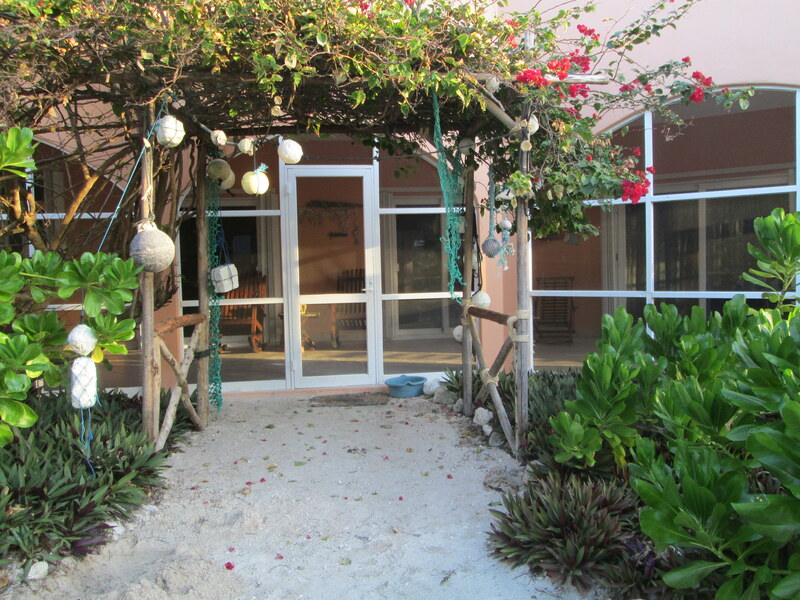 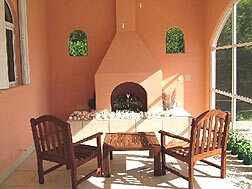 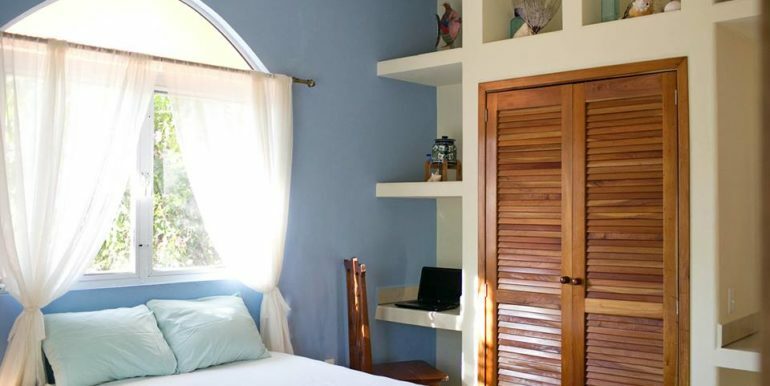 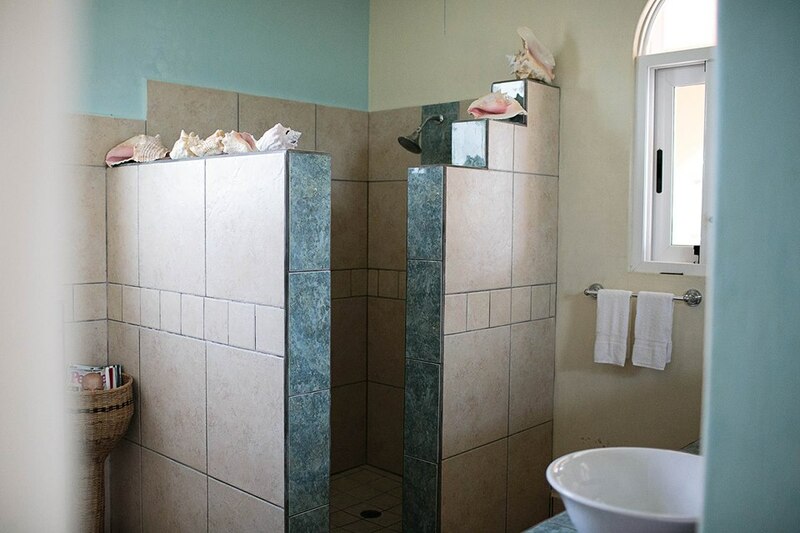 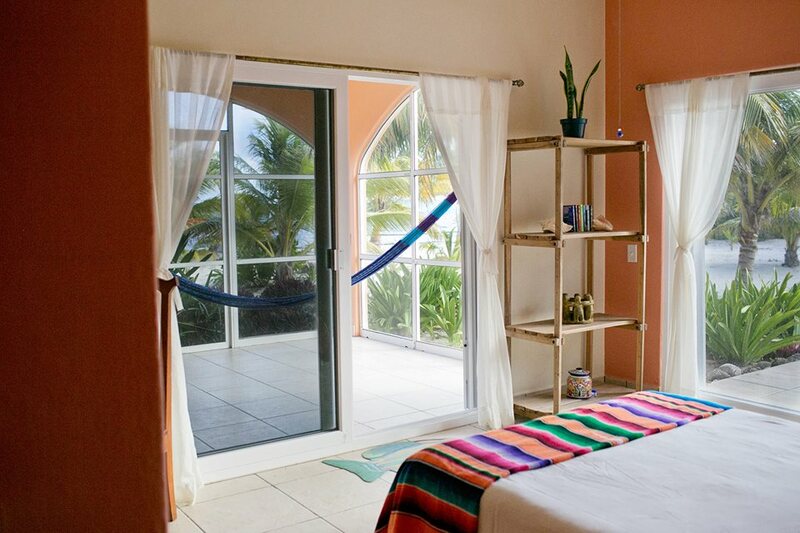 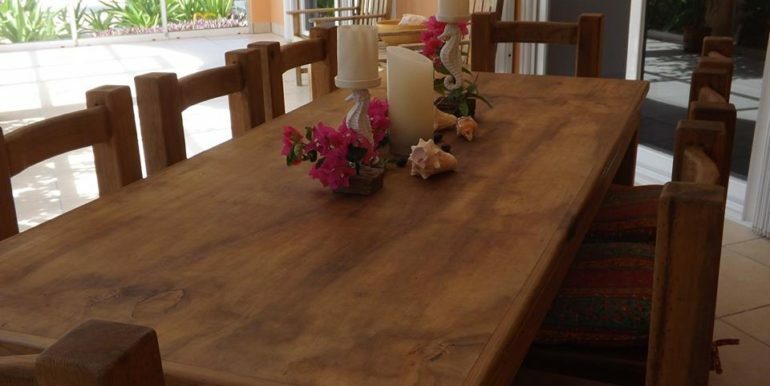 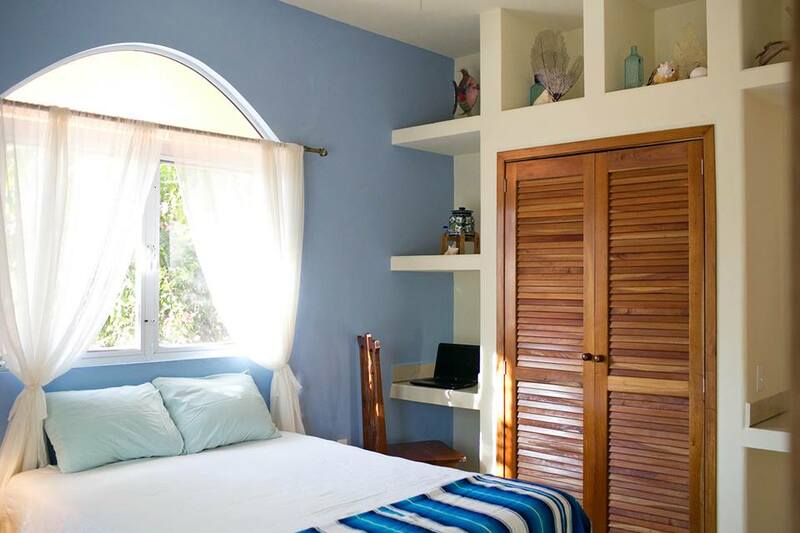 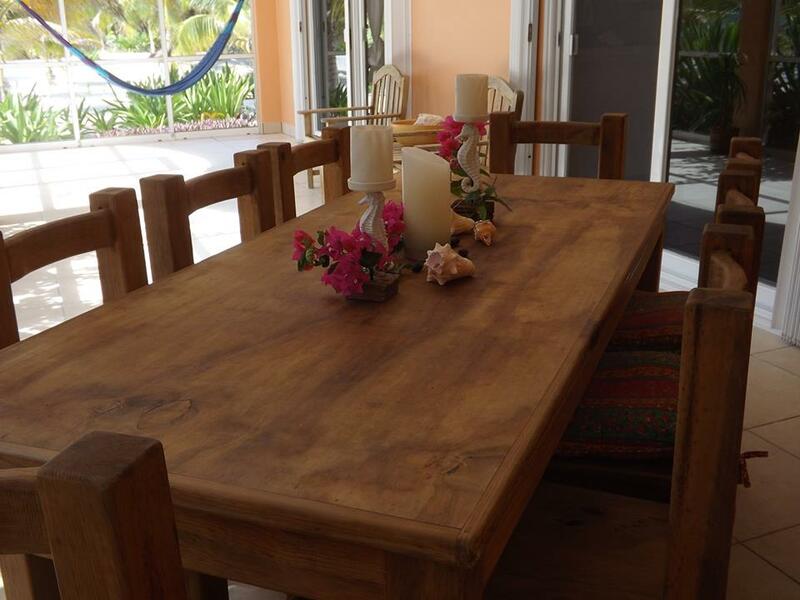 This vacation paradise is being offered fully furnished and wonderfully decorated, ready for immediate occupancy.